In order to protect your equipment from damage during shipping and storage, it may be necessary to employ the use of moisture vapor barrier packaging (MVBP) utilized to prevent metal corrosion by the reduction and elimination of moisture vapor transmission rate (MVTR). It's often a challenge to know exactly how long a piece of equipment or component will be exposed to harsh environmental conditions, particularly if products are shipped overseas to high humidity areas. So before you risk costly damage to your metal equipment, we recommend you contact Tandem Equipment Sales to discuss a moisture vapor barrier packaging solution. We offer a range of MVBP bags and packaging to help lower the MVTR (Moisture Vapor Transmission Rate). So whether you have a small electronics product that needs to be shipped and stored in foil barrier bags or highly sensitive components that require mil spec bags—we have it at Tandem. Daubert Cromwell | The leading name in corrosion prevention® - offers a line of corrosion inhibitor packaging for metals to include VCI Papers, Films, Emitters and Liquid & Powders suitable for numerous applications. 3M™ | Manufactures a line of Dri-Shied Moisture Barrier Bags and mil spec bags in a wide range of sizes primarily suited for both electronics and military customers. Pure Stat Technology | Specializes in corrosion/moisture protection packaging for the aerospace and military industry, and offers moisture vapor barrier packaging in a variety of sizes to accommodate specific industry needs. Moisture vapor barrier bags are the most effective packaging solution in protecting sensitive products and metal parts from corrosive damage and tarnish. 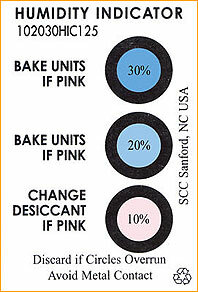 Eliminate replacements costs due to metal part damage that could render equipment inoperable. Maintain integrity of metal parts by keeping them clean, corrosion-free and ready to use. Reduce risk of prolonged exposure to uncontrollable environmental conditions by providing products with long-term moisture vapor barrier protection. 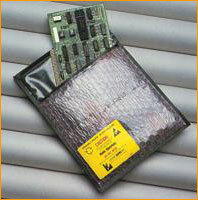 Moisture barrier bags can be manufactured in a wide range of sizes and shapes to accommodate a wide range of products. Protection of static sensitive devices & assemblies. Trust the experts who have the experience and knowledge to ensure that your metal parts are consistently protected by high quality moisture barrier bags that are certain to keep the MVTR low and your business profitable.